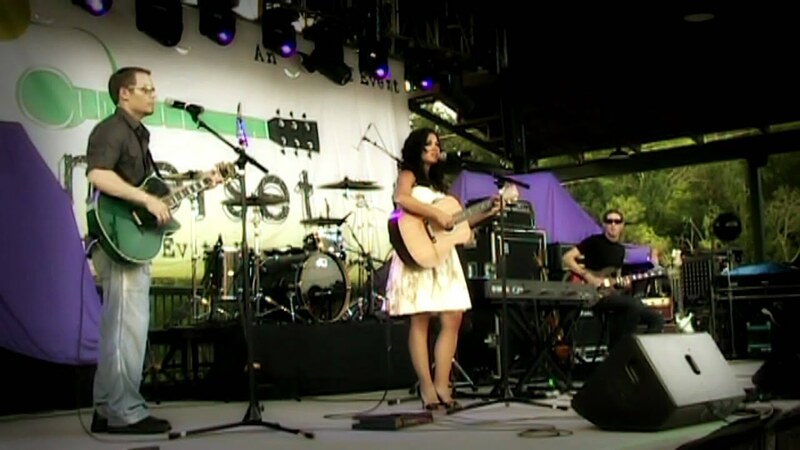 Opening Act for Colbie Caillat in Ringold, GA.
A versatile performer classically trained in piano, voice, flute, & guitar. Sarah performs solo, as a duo, or trio with 3-part-harmonies, depending on what your needs are. Covering classical, jazz, and popular songs by Norah Jones, Alicia Keys, Elton John, Billy Joel, Sheryl Crow, Nat King Cole, Etta James, and much more. For formal events such as weddings Sarah has the ability to sing operatic solo favorites like "Ave Maria" or any song from any genre at your request. 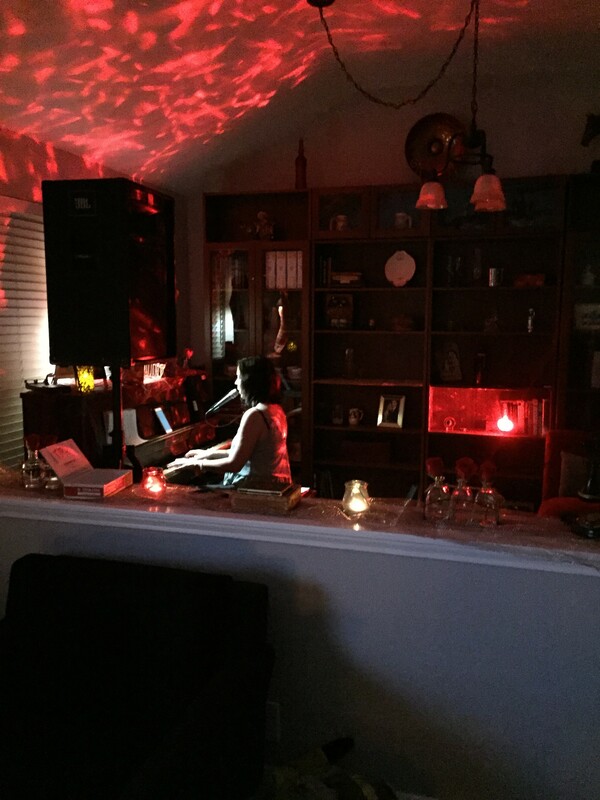 Sarah also performs solo concerts of original compositions, where she combines her background in classical music along with her love for mantras and contemporary music to create her own unique genre, "OPERA MANTRA". Sarah sang at my mother's graveside service. She was so helpful in helping us select which songs would be most appropriate. She responded immediately to all of our changes and suggestions. The most special part is that she learned a song that was my parent's song and sang it beautifully. It was very important to us that it be a part of the service, her care and attention to detail was amazing. I would hire her again, hopefully for more of celebration next time. She set the perfect tone. What a professional. Thank you for your touching comments, and for trusting me with the music of such an important life event. I'm truly honored to have been a part of the celebration of life of your mother, a very special lady. Many Blessings to you and your family. 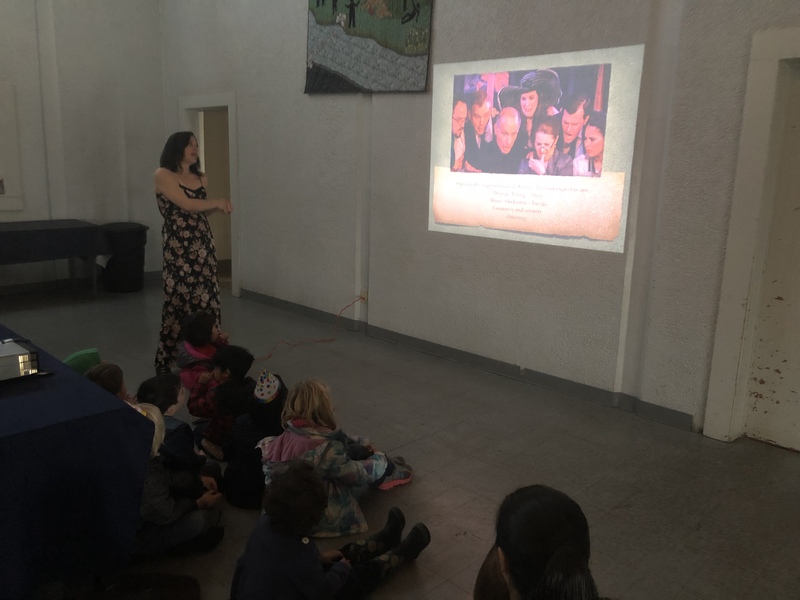 Sarah came to perform some Italian arias for our children’s unit on opera; it was amazing! Sarah was a delight from the moment we booked her until after the performance, for which she even had a lovely presentation prepared. The kids were mesmerized and the the parents were so happy. Sarah is a true talent and a delightful human! Best decision you will make for your gig! Sarah is an absolute star! 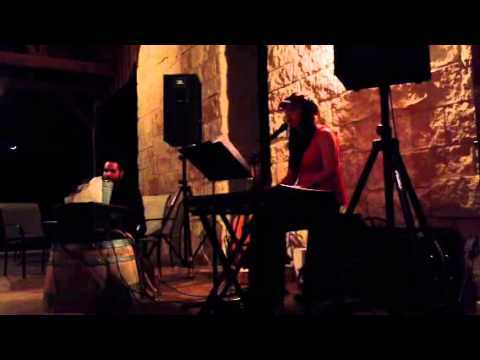 Her voice is amazing and she made the most beautiful addition to our wedding. Not only is she talented, but she’s an absolute joy to work with. Willing to help us anyway we can from reframing the organization of how we wanted a song to play to being willing to learn songs for us. She’s amazing and you should look no further - this is the artist you’ve been looking for! Oh my goodness you made my day with that amazing review, thank you! Happy tears here. Your wedding day was so beautiful, I seriously think you should consider going into the business of wedding coordinator! Great job! Sarah added so much to this event!! Sarah was the perfect addition to a mom/son party at UT! 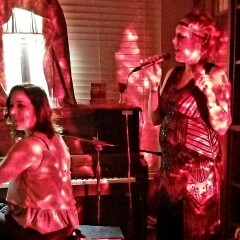 The music was fun, Sarah is so talented. We will have her back!! We couldn’t be happier with the music! Sarah is incredible with the kids, she is true professional! Thank you! Sarah came for our 1 year old's birthday party. She showed up early and hung out with the group and then played with the babies. She let my daughter “help” her play along too. We booked Sarah for a children's gig to celebrate the launch of a new kids' product at our storefront. The crowd was smaller than expected, and Sarah provided a fun experience for the little ones and their parents. She's very talented and professional! Can’t give enough praise to Sarah for the memorial service she provided for my mother. Ave Maria was spectacular, and church hymnals were perfect. She even smoothed out issues with a difficult priest. No hesitation hiring her again. I’m so touched by your words, thank you so much. I appreciate all that you contributed to make my job easier. I wish prayerful blessings to you and your family during this time of loss. 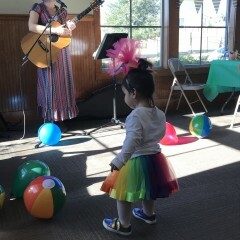 My little girl had a great time dancing and listening to Sarah sing! Sarah was on time and did a wonderful job! Highly recommend! She has a beautiful voice. Sarah made our family Christmas party fun and festive. She was delightful to work with and I highly recommend her. Sarah was awesome!! Guest enjoyed her performance. 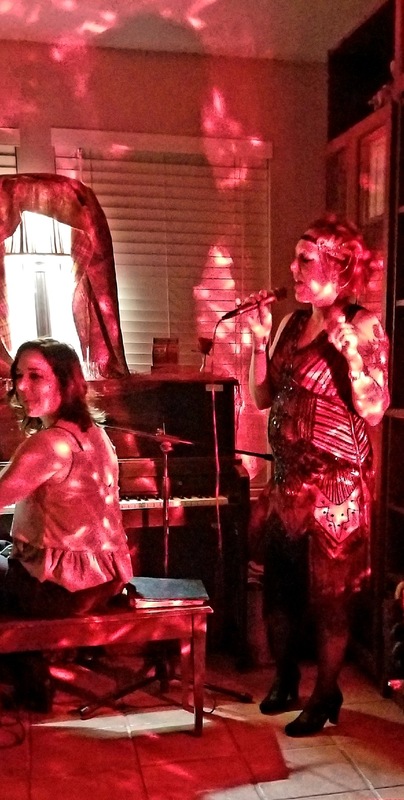 I’ve hosted many parties, but this one—a speakeasy themed house party (for my 45th bday) with a dozen guests and Sarah’s talent—was the best ever. Everyone had a wonderful time. Sarah customized her song choices to the audience and my preferences, even learning new songs at my request! She was so pleasant, professional, and engaging. She made my dream party come true. Outstandingly talented, and delightful to work with. Sarah is an awesome singer and piano player. She was totally flexible and took requests from guests. Before long we had ourselves a karaoke party - it was so much fun. Thank you Truda! I enjoyed playing on your beautiful grand piano! Wonderful guests, it was so fun to have a group of singers sing along! Thanks for having me. Sarah was awesome! She played all requested/favorite songs. I recommend her for any occasion and will hire her again for my special events. She was there before scheduled time and played the entire time hired (4 hours) with no breaks. Thank you so very much Sarah for making my Wedding Ceremony/Reception so special with your beautiful voice. It was my pleasure Leticia! I am grateful to have been a part of your special celebration. Your family is lovely! Sarah was an awesome entertainer for our event! She was easy to get along with and flexible to our request. She was top notch with her piano and guitar playing and her voice was gorgeous! Thank you Chad! What a great crowd, thanks for having me! Sarah was and is an excellent performer. She was very professional and succeeded my every expectation. I will be calling Sarah for future performances. She is a gem. We hired Sarah to present to our summer camp students, June 2018. Sarah explained instruments and performed the flute, guitar, trombone and percussion. She had so many interesting percussion instruments for the children to explore. She led them in songs and explained rhythm. Sarah has a beautiful and powerful voice that was impressive for 3 - 9 year olds to hear!! Here is a testimonial from a 3 year old, "Mommy, the lady that came to our school today was beautiful and amazing. I am so happy that I got to see her!". Elizabeth Miller, Sherwood Forest Montessori School, Houston, Texas. Aweee what a cutie! That's so sweet to hear what the 3 year old said! Thank you for having me Elizabeth, I had so much fun with your students and staff. What a fantastic school! 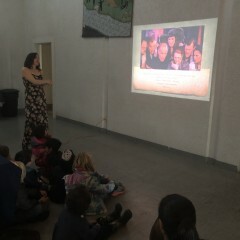 All the children really enjoyed Sarah at our event. The songs were all great and the children really enjoyed dancing and getting to play along with the instruments that Sarah brought out for them. Thank you Katie! Your school is lovely and I really enjoyed the afternoon festival. Thanks for having me. Sarah did a fantastic job singing at my wedding! She has such a beautiful voice and does a wonderful rendition of songs! Not many people can pull this off but Sarah definitely did! I will definitely be booking her in the future for any of my signing needs! I hope that your consider booking Sarah for your event! We could not be more pleased. Sarah has great range and professional presentation with sensitive nuance. It was such a relief to realize we had booked a performer who knows what she is doing! She made communication easy, let us know what she needed well in advance and performed beautifully. Many compliments have been received from those who attended. We can recommend Sarah with confidence. Thank you Sarah, for your wonderful contribution to our family commemoration. Thank you so much Robert! I’m so honored to have been a part of the celebration of your mother’s life. Many blessings to you and your family and friends during your time of loss. Sarah is so awesome. She led our Catholic wedding, and I have received so many compliments. There is truly no song Sarah cannot sing. She is just amazing with a beautiful talent. Sarah was very professional and easy to get ahold of. She helped plan the event, and even collaborated with other musicians. Best money spent! It was a beautiful ceremony and you were a stunning bride. Congrats!! Sarah's Performance was Superb !!! Sarah sang and played Christmas Music for our company Christmas Party yesterday evening. And she also sang many other favorites including Elton John, Billy Joel and Norah Jones. We also did a couple of singalongs with her !!! I highly recommend Sarah's musical performance for any party. Sarah has a great voice and impressed the audience with her vocals. She was on time for the event and executed the event flawlessly. I would highly recommend her for any event. Sarah has a beautiful voice first and foremost. But she was so professional and did such a wonderful job of setting the right tone for our event. It was a pleasure to listen to her perform and hope to see her again. Very professional and fun to have at our event. She set just the right tone for our cocktail party. Quite responsive to our song selection request. She helped set just the right tone. Highly recommended We’re looking forward to having Sarah entertain at our next event. Thank you so much Hector! It was my pleasure meeting your beautiful family and providing the entertainment for your special celebration. Thank you for your gracious invitation to entertain for you again, I look forward to it! It might've been my birthday, but Sarah was the star of the show. I gave her very little guidance for music choice, but she played an incredible selection of top hits from 60s to today's hits. She even saying happy birthday to me in operatic Italian followed up by Le Vie en Rose... what an exceptional voice! We provided the piano. She brought her guitar and her own sound equipment. She was completely professional, and I couldn't imagine my event without her. We were so impressed with Sarah. Her voice was amazing! You can tell she adores her profession. Sarah performed at our wedding and was absolutely perfect! Her voice is beautiful and we truly couldn't be happier. She also served as emcee and was excellent! It was a beautiful setting with a beautiful couple! I am now using your songs in my new set list, so thanks for introducing me to some great music! An evening is transformed into a spectacular, unforgettable, deeply moving, uplifting, inspiring, passionate experience when graced with one-of-a-kind Sarah McSweeney. Sarah brought so much life and magic and spirit into our art exhibition at the River Club a prestigious private venue where her performance stunned even the most jaded of New York City's crowd. Sarah is unparalleled in her profound gift of bringing through a vibrant, alive, sparkly energy that touches people to their core and awakens their joie de vie. While her vast and top notch, world class musical talent is unquestioned, she also brings so much more to an event than music alone, more than words can describe. Her angelic voice provoke rushes of tingles through the body. She masterfully tunes into the crowd and delights them with an endless array of genres and gems. Rather than the quick in and out social protocol of some art openings, thanks to Sarah's music, guests found themselves staying and having fun for hours, passionately engaged in conversation with each other, admiring the artworks and enjoying the music. In short, in my opinion, Sarah's musical presence is a powerful life-changing experience that literally awakens the spirit and the senses. I cannot recommend her enough. Jana, thank you so much for your beautiful words. It was an honor to be a part of your incredible art show! You're such a phenomenal artist and even more amazing person! Sarah went out of her way to help me with a gig when coming from overseas... Came to practice; first learned piano then a second voice harmony! The gig went great!! Could not have been more flexible and available. Sweet voice and sweet soul! Sarah was a lovely part of our event! She catered to our requests from ages 1 to 85! She was great with our little ones doing sing a longs and also had us in tears with her opera pieces! She was a one person band with guitar and keyboard. Very professional, prompt in responding and affordable. Will definitely contact again for next event. Thank you for that beautiful review! Your family was so sweet and kind. It was truly an honor to be a part of your special birthday celebration! Sarah and a male partner perfomred "All I Ask of You" from Phantom of the Opera. Not only was this a total surprise to my now wife but the performance was better than we could have dreamed. Thank you for making our night that much better!! It was really special for us to be a part of your magical evening. What a beautiful and romantic gift to surprise your wife with. Wishing you both the best! Sarah was so wonderful to work with. She was so helpful with song choices and gave was a very lovely addition to our wedding. I had nothing but compliments about her performance. Kristin, you looked so gorgeous and the setting was enchanting! I'm so glad I was a part of your beautiful day! Sarah, you have created so many life-long fans in our area. We loved having you out at our fundraiser last night and your talents added such an incredible touch just made our event THAT MUCH BETTER! It was definitely our best fundraiser yet. Thank you for being a part of it! What a magical performance! Sarah "opened" for a reading we had here at Malvern Books. The author had sent her a copy of her book in advance and Sarah read the book and played music that fit perfectly, including a song that was inspired by the book! We couldn't have asked for more. Sarah is a rare gem of a musician and we were very fortunate to have found her! Thank you Becky! Your bookstore is aDORable!! I will definitely be returning to peruse your shelves. Sarah helped me plan a surprise for my boyfriend where she performed for him in his office on his birthday. Her performance was excellent and her communication leading up to and following the event was fantastic. She was very professional and a pleasure to work with. I am so grateful to her for helping me create a special moment for someone I care about. Thanks, Sarah! Thank you Cristine! It was such a beautiful gift, I was so thrilled to be a part of your heartfelt surprise! Birthday party with cannon fire! Not your usual birthday party! We had a large gathering of family and friends and of course a cannon. Sarah handled it all in stride. Her voice is beautiful and the outdoor concert added a wonderful touch to the evening. During the whole process, from booking to the event, she was sweet as well as professional. She even did a special song request. It was a great experience start to finish. Thank you Sarah! Sarah was fantastic. We would recommend her to anyone. A great evening. Thank you Gill! Congrats on your award winning wines. I'm happy to have been a part of your anniversary celebration! 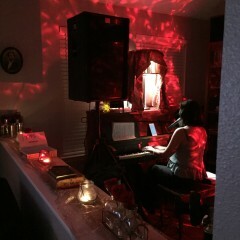 Sarah performed at a book signing-musical event for me and a Harlingen Texas restaurant. I knew she had a great voice, but after meeting her and listening to her I can say it was a beautiful voice coming from a beautiful person. Despite acoustics that were not the best, she overcame that and the crowd loved her. I just knew when I saw her name, it had to be an omen. My book publisher is Sarah Book Publishing and I lost a dear teen granddaughter with by the name of Sarah in an auto accident. I am looking forward to hearing her perform again and plan to purchase some of her available music. I also hope I have an opportunity to have her perform at one of my future functions. In fact, I may just have one, to hear her sing and play! Thank you very much Jerry! It was a pleasure to play for your book signing, and to have the opportunity get to know you and your fans. 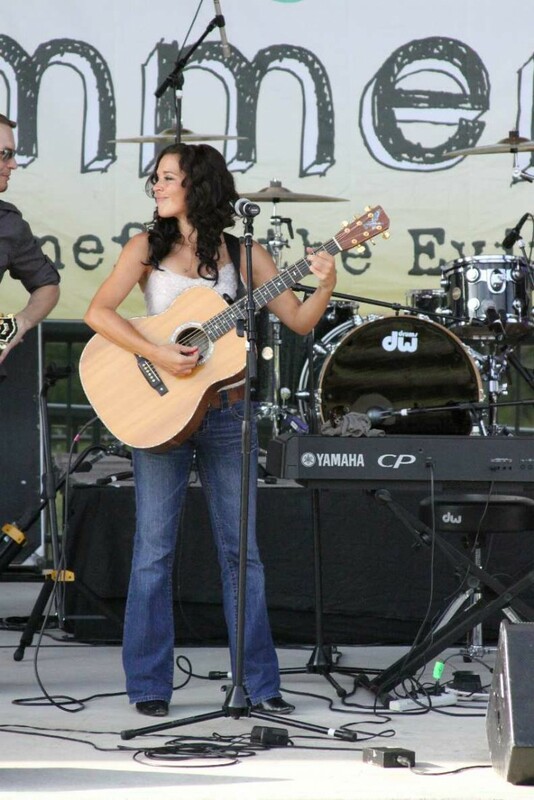 From start to finish, Sarah was very helpful, and flexible and the quality of her playing and singing are unmatched! Thank you Sarah for helping to make my event so special. Thank you Bob! What a beautiful moment you orchestrated that I had the privilege to be a part of. Wishing you both all the best! Sarah was so wonderful to work with! She was understanding, honest, on time, and very professional. I guess I should have started with how amazing her voice is! The perfect choice for our event and yours! Thanks Sarah you were wonderful! Thank you Taylor! You two win the cutest couple award! She was awesome. We will recommend her and use Sarah in any future events. Everyone and especially my bride were amazed. What a beautiful picturesque setting it was. I'm honored I was able to be a part of such a heartfelt celebration. We selected Sarah for our client event and gave her free will to choose songs that she sang best. She put on BY FAR the most amazing performance we have ever had, that even a couple of times, the entire crowd was silent, just in awe of her incredible talent. She has been blessed with such an amazing gift and we were the lucky ones that were graced with her presence! Thank you Sarah for making our event one that people can't stop talking about! Thank you Cassi for that heart warming review! I really enjoyed meeting your beautiful family and friends. You and Justin were such gracious hosts, it was a pleasure to be a part of your event. I'm thrilled to hear you were happy with the performance! I hired Sarah to collaborate on a song with me. It was probably not the most common "gig" but she blew away any expectations I had. She was very pleasant to work with and seemed to have a genuine interest in the project. I would highly recommend her to anyone. Sarah was easy to work with from the moment I contacted her, through the booking and arrangements, and during the gig. As the organizer, I had to rely on her to do her part, which she did very well. She showed up on time and was ready to go when we were. She entertained a group of professionals during a reception at the end of a day of conference. I had many positive comments about her. She played a variety of music and was able to gauge what style and tempo and sound level was right for the occasion. She took requests, and even played happy birthday in Italian, I believe, for an overseas guest. I would book Sarah again, happily! It was a pleasure to work with you and to be a part of your event. Sarah played for my birthday party at my restaurant and music club - Hill Country in NYC. 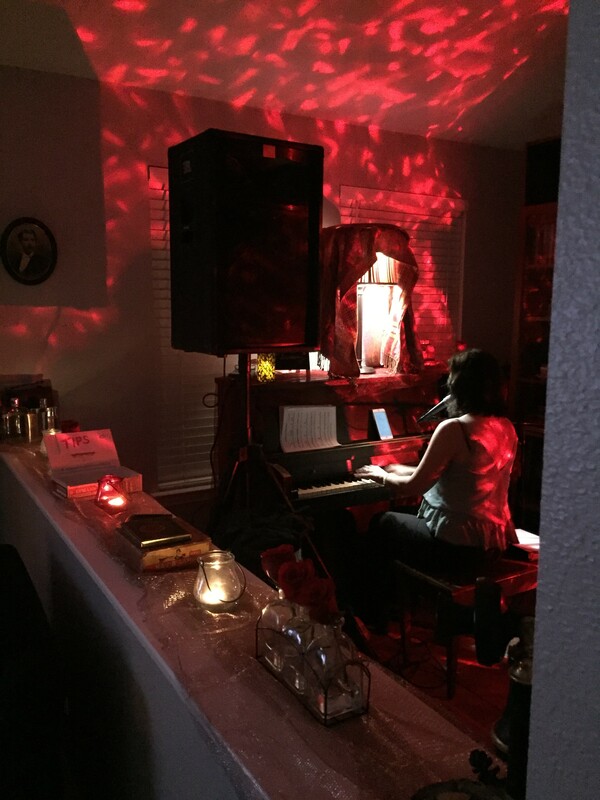 She sang a mix of beautiful original songs, rock and blues covers, and imeccably sung opera classics (as well as a room-uplifting, italian operatic version of Happy Birthday). She is a wonderful guitarist and pianist, has an extremely warm, charismatic and loving presence, and is preternaturally gifted with a catch-your-breath, world-class, heart-opening, tear-inspiring voice. The crowd adored her and I was thrilled beyond measure. It was a memory I shall never forget and I am eternally grateful. Bravo!!! I cross paths with Sarah from time to time and it is always a special treat to just see her. But hearing her perform is a true gift of pure joy. I asked Sarah to sing at a gathering of my supporters the last time I ran for re-election to the PEC board. Her voice and lyrics mesmerized the audience the entire time. She carries you to a different and better place. The longer she stayed the longer they stayed. People want to know, to connect with this beauty and her strong, clear melodic sound. She is not surrounded by handlers--she sets herself up and breaks it all down herself. What you see is what you get--a gentle, sweet and kind soul who reveals herself best in front of an audience. Sarah McSweeney amazing instructor and musical coach ! I started my music later in life , a little older than your average student , When I met up with Sarah ( back in 2009 ) to work with me and my music , Piano ,Guitar ,Flute , Vocals (yeah Vocals ) and I play Crystal Singing Bowls . I told myself I would never quit . Every week I see so much progress, Her lessons are very therapeutic and learning musical terms is amazing .She has over the last two years has helped me compose enough music for a CD (Yeah Me ) ! Now will also Coach me on Feb 22 nd 2015, to do my own very first CD !My Healing Music is very important to my backbone of my Healing Arts business .Massage ,Sound Healing ,now Yoga are all taking on a new form life with the addition of Music . My lessons put me in a place almost like a meditation does . Clarifying other parts of my life ( hence the therapeutic part ),My new knowledge of music adds a new dimension to my life making it more full and productive . Once Sarah is in your life ...there is no going back ! ~donna My lessons are on going but recording Cd soon ! Sarah won runner up in first Brauntex Has Talent show we had a few years ago. Since then, I have seen her turn into a great live performer at various venues around town. Her fan base continues to grow with each performance and the venues all love her. She's dependable and very professional, plus she's a great singer. It's a win-win for everyone! Sarah McSweeney is such an amazing singer and performer! I hired Sarah for my wife's surprise 40th birthday party and she was the absolute highlight of the night. The folks at the party were very impressed with her singing and musical talent. She played guitar and piano and did a fantastic job of not overpowering the crowd. 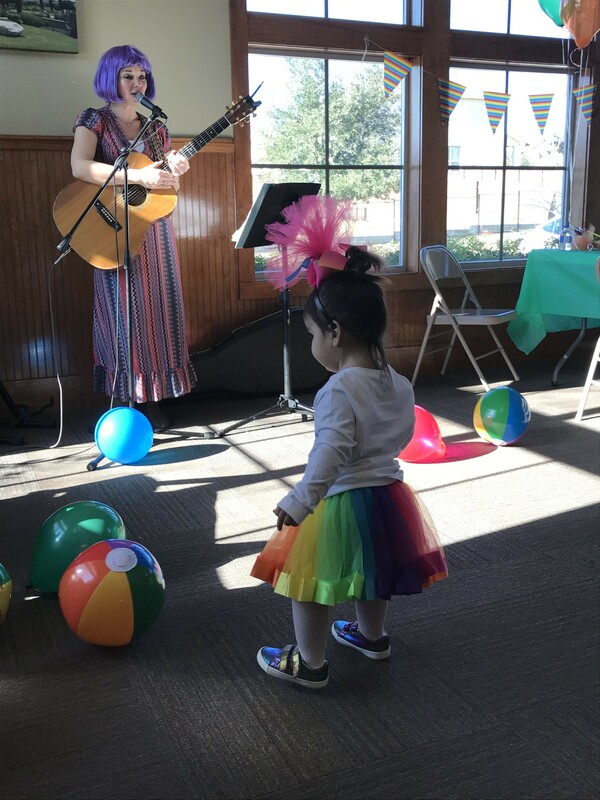 At a birthday party, people want to talk and mingle and the night was made all that more perfect with her beautiful singing in the background. 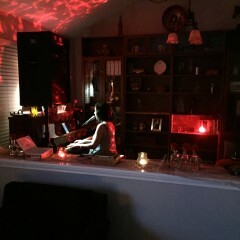 She did a mix of old and new songs and the easy listening music was ideal for the setting. She was great with the crowd as well. I look forward to the next time I can hire Sarah for an event. Sarah performed at a friend's Christmas party. She was very engaging and bantered easily with the crowd. I was very impressed with the depth and breadth of her musical talent! She performed music from diverse genres like opera, pop, and country, and performed them all well. I wouldn't hesitate to hire her for a future event. Loving person with soaring sweet voice! I've hired Sarah to sing at my birthday parties, and seen her sing at my events and meetings. She wows everyone. She sends chills up your spine and puts a smile on your face. I can't say enough nice things about Sarah's performances. She is a gem. She also wrote a personal song for me, which is a priceless treasure. Hire her. Thanks Joe* I always enjoy performing at your events! Sarah brings talent, beauty and joy to any event! I host spiritual healing seminars around the world and hire Sarah to perform whenever available. She has the most unique and profoundly inspiring gift of music and voice that transforms our events into a breathtaking experience for my clients. I have also ministered weddings and hosted many birthday parties where I hire Sarah to perform Opera Aria's and it blows people's minds. She really has a very unique gift... one where you get goosebumps each time she sings. I own a high-end furniture store and have the best clients that deserve the best singer at my quarterly wine & cheese parties! Sarah has given us all chill-bumps for 4 years now - I highly recommend booking her! I've known Sarah since she was a teenager and she has had a voice and musical skills that were second to none and they've only gotten better over the years. I will show up to your event early and prepared to provide you with an afternoon or evening of beautiful songs that won't compete with your guests mingling and conversation. I hope you have some special requests of songs that I can sing to make your special occasion even more memorable. I have an extensive background in music, starting with piano lessons and music theory at age 6. I sang in choirs, played flute and trombone in the school bands, entered and won many competitions, and continued on to major in music at a college reputable for it’s successful opera program. My entire extended family was musically inclined, and everyone was required to take music lessons throughout their school years. For the Christmas holidays my family would sing carols in 4 part harmonies with full piano accompaniment by my godfather, grandma setting the tempos and grandpa calling out anyone singing off pitch. I was always required to perform my latest classical piano studies, or sing a duet with my cousin David, a tenor. I graduated with a Bachelors of Music degree with a major in piano and minor in voice, and I have been teaching, performing, and composing ever since.